Our Orange Park location is at 2151 Loch Rane Blvd Unit 1092, Orange Par k, FL 32073. The Orange Park office is in the Publix Plaza across from the Orange Park High School at the corner of Kingsley and Blanding Blvd. Our clients at Orange Park range from male, female, seniors, children and teens! We set up and individualized program for each client an d this is why our clients see accelerated weight loss! The staff loves to help with each client’s weight loss journey and tailoring their program for their lifestyle. They not only are great at helping each client achieve their goals, but learning how to keep their weight off through our stabilization and maintenance plans to ensure everyone will be Slim4Life! 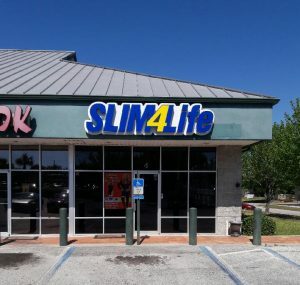 Make an appointment at our Orange Park weight loss center today!